Archie Andrews and the Riverdale gang are some of the most enduring characters in comics history. They’ve teamed up with superheroes, met countless pop music icons, taught Bible lessons, and fought Sharknados. Their stories range from innocently humorous vignettes to deeply emotional personal drama; Archie married both Betty and Veronica in divergent story arcs that converged again with Archie’s death. Archie Comics as a company has taken on a number of licenses through the years and never been afraid to push the boundaries of comics as an art form. I guess it was inevitable that the zombie apocalypse would eventually make it to Riverdale. 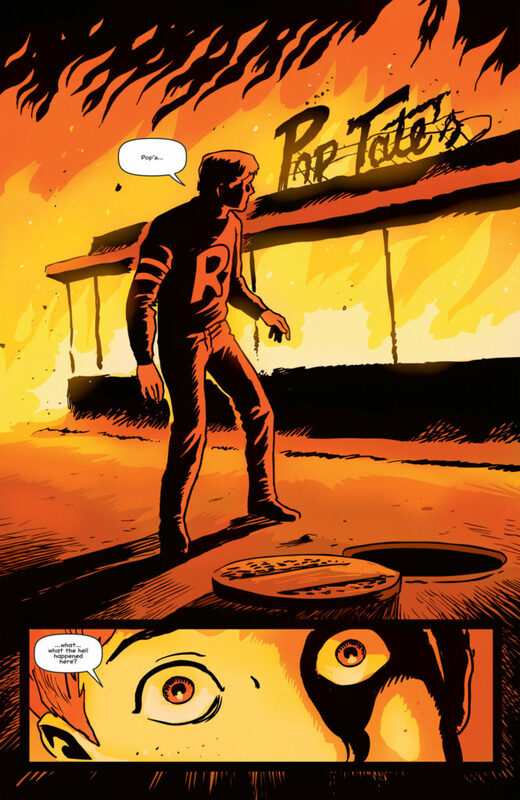 Writer Roberto Aguirre-Sacasa and artist Francesco Francavilla, creators with whom I am unfamiliar, eschew the easy camp of a zombified Archie to tell a darkly serious tale. In a premise that owes much to The Walking Dead and Dawn of the Dead, the main characters struggle to survive as they are forced to destroy their own loved ones. The zombie origin is clearly supernatural, an occurrence which lays the groundwork for a deeper mystery that unfolds as the story progresses. Right from the beginning all gloves are off and no character is safe. Jughead Jones and Sabrina Spellman take the first steps down the road to hell with the best of intentions. Things go downhill from there and the comic begins to explore the contrast between human depravity and human virtue. Even as Reggie Mantle and Cheryl Blossom unveil hideous dark sides to their characters, Archie and Betty continue to prove that even post-apocalyptic life is still worth fighting for. The pace of the story is slow, but with a kind of inevitability that sounds the tramp of doom. Aguirre-Sacasa measures each character and plot beat as if it were a slowly fading heartbeat. It’s eerie and unsettling, with each thump more profoundly disturbing than the last. Francavilla’s artwork is heavily inked with thick lines and deeply contrasting tones. The color palette is awash in orange, red, and brown, like a film of decaying blood over a stuttering movie projector. This approach minimizes the impression of the monsters by smoothing over details of appearance, but throws the bouts of sudden violence and residual gore into sharp relief against the survivors from Riverdale. It’s heavily stylized and minimalistic, a perfect portrayal of a world that’s rapidly decaying. It’s a horror book. It’s a zombie book. But is it an Archie book? The world of Archie Andrews seems locked in a perpetual malt-shop nostalgia that views the formative teen years through a rose-colored lens. Even Mark Waid’s modern take on the characters in the main book line preserves the feeling that maybe this isn’t what life as a teen is actually like, but it’s what life at that age ought to be like. Aguirre-Sacasa preserves that nostalgia with uncanny subtlety; the reader comes away firmly believing the zombie apocalypse could unfold in Riverdale in no other way. Each member of the group is defined by their friendships, rivalries, flaws, and virtues. These characters are recognizably and indisputably the Archie gang, even if the tension of their circumstances and the stress of adversity has cranked those character traits up to 11. The creators use conflict and theme to move the current of the story. The underlying strata of the story is about a world being destroyed and forged into something new. The characters likewise must pull down their own preconceptions and reinvent themselves if they are to survive. Archie himself abruptly and violently leaves behind his own innocence and the security of his childhood protectors. It’s a fitting separation that highlights the difference between Archie, who adapts to change and grows thereby, and Jughead, who precipitates the apocalypse because he cannot deal with tragedy in his life. Discussion topics flow like water from even a surface reading of the book. What is the morality of killing a zombie? Have the rules of civilized behavior fallen along with the fall of civilization? Does humanity deserve the sentence of extinction for its failure to honor the alien gods of the outer darkness? If the chthonic entities beyond space and time are actually willing to give us our heart’s desire, isn’t it wrong to think of them as evil? Is seeking to find personal happiness wrong when doing so evidently prevents others from being happy themselves? So many zombie stories are bleak nihilistic examinations of mankind’s basest impulses. It’s easy to devolve into camp on either extreme of comedy or horror. 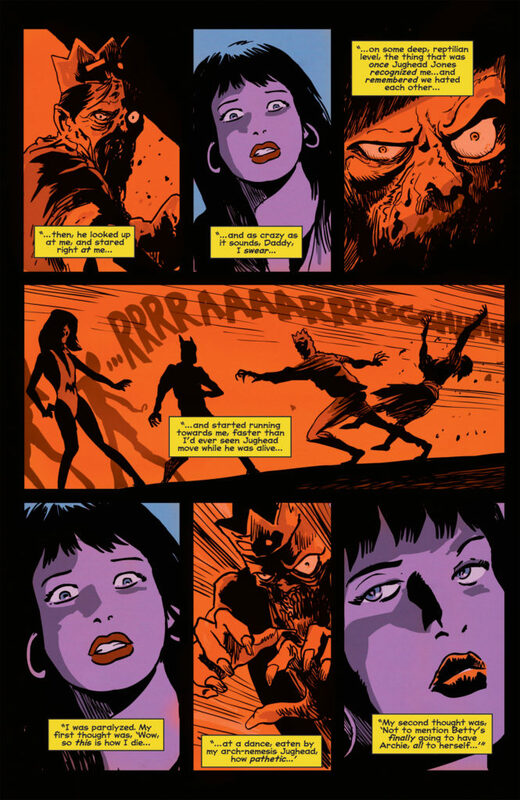 Afterlife with Archie takes the very difficult middle road, telling serious, thoughtful stories about how humanity remains essentially unchanged even when the world around it is falling apart. The apocalypse doesn’t give these characters free reign to behave unchecked, rather it allows them to act upon those desires which social convention would normally restrain. It throws the necessity for a sinless savior and ultimate redemption into sharp relief, as even Archie’s powerful, personal virtue is unable to effectively change the impact of a fully corrupted world. 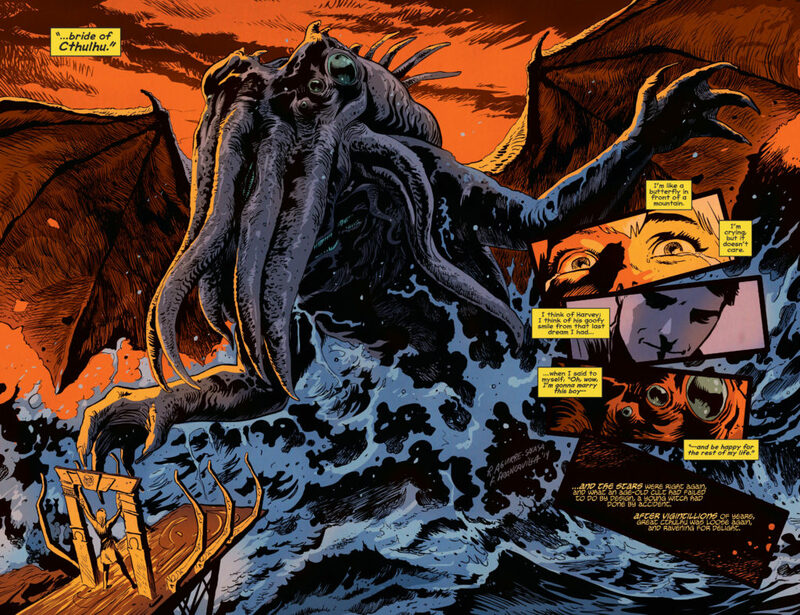 Aguirre-Sacasa has a companion title in the Archie Horror line, The Chilling Adventures of Sabrina. “Sabrina” is set during the 60s and shows the influence of the EC horror titles of that era. It’s not connected to the continuity of “Afterlife”, but does have a similar look and feel. The Archie Horror line also includes the werewolf one-shot and upcoming series Jughead: the Hunger by creators Frank Tieri & Michael Walsh. Which raises the question: to whom is this book meant to appeal? It’s a smart, gut-wrenching horror story that eschews splatter for a more visceral and personal experience. I appreciate good horror stories, especially ones as well-crafted as this, but it’s not a title I’m going to want to keep on my shelf. Perhaps I’m getting squeamish in my old age, but this book … disturbs me. Archie Comics is collecting the individual issues into trade paperbacks, and the entire series is available digitally through either Comixology or the Archie app. 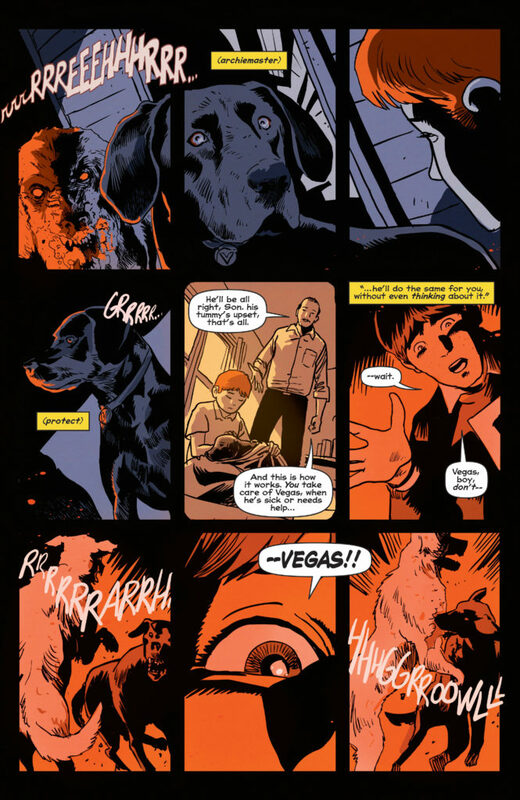 If you’re a fan of The Walking Dead comic, EC horror, or that particular brand of quiet, cerebral zombie story, you may do well to read Afterlife with Archie. I give this book a Quality score of “Excellent” and a Relevance score of “Overflowing”. Winston Crutchfield has loved comics ever since he discovered his older brother’s stash of Spider-Man and What If? books forgotten in a dresser drawer. He blames his mother for teaching him to read and his grandmother for fooling nobody by “accidentally” picking up new comics at the drugstore with her crossword puzzles. He is the publisher and small business service provider at Critical Press Media, and may be found in the Christian Geek Central forums as “MindSpike”. You thought the end of the world had already come and gone, right? Not so much. The word “apocalypse” means “sudden awakening”, as in the sudden realization of new information or a new state of being. Prepping for a doomsday scenario is less about waiting for the world to end than about embracing new ways of thinking about the world we have. Is the apocalypse around the corner? Are we about to have a radical shift in the way we think? It’s worth considering. 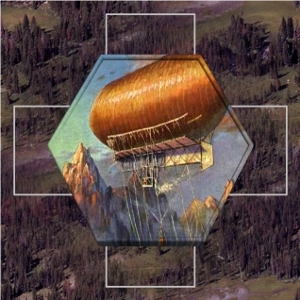 This episode Curt and I prep for the coming of the rifts, or since we don’t want to tread too heavily on any one magical paradigm’s toes, the sudden and irreversible onslaught of a magic in general. The segment ends kind of abruptly due to … uh, microphone apocalypse? We conclude with the next installment of Rock the Dragon! It’s a full-blown war of the worlds here in the reaction chamber. 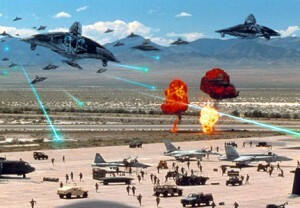 Curt and I get our prep on for the coming day when the aliens invade our shores. We know its coming. You know its coming. It’s up to us to convince all the poor saps who just won’t see the light that the visitors are not our friends! It’s a short prep, but we put some basic things in our prep kit and review a smattering of historical documents. The Martians are coming! Animal attack movies have a long and storied tradition in cinema. Curtis and I decide just what constitutes an animal apocalypse and do what we can to prep for it. Some of our picks include classic movies like Kingdom of the Spiders, The Birds, and Squirm. We ask for your help in identifying a couple of movies that we can’t remember, and then proceed to bug out, dig in, and fight back. 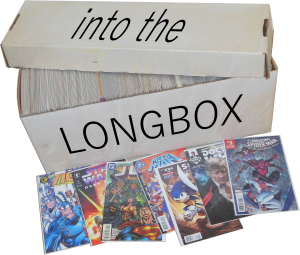 Tune in for a peek at the next apocalypse as well, and continue checking the blog for artwork, bonus episodes of the OTR “Escape” that tie in to this week’s apocalypse, and special bonus episode interviewing Phil Elmore about what going on at The League Entertainment. Still no theme music, but Curtis and I give our opinions on The Avengers opening weekend, along with John Carter. These are both excellent movies that didn’t receive nearly the critical attention they deserved. To be sure, The Avengers raked in the money and received quite a bit of praise – for all the wrong reasons. And poor John Carter…. there goes my hopes for a sequel. Where are the toys? Who dropped the ball on that? Sprinkle in a dash of stories from previous Fear the Con adventures and top it all off with the Amish Apocalypse. Afterwards we tease the next apocalypse, and I completely forget to mention the upcoming interview with Phil Elmore! Enjoy the show and join us again next week for a new apocalypse and an interview with freelance author Phil Elmore! Download the new Atomic Earth wallpaper! This time around, Brett Bernstein from Precis Intermedia joins me in the reaction chamber to talk about where he’s going with his company and some of the products they are putting out in the near future. Bernstein is currently re-releasing many of the older gaming products from the 80s and 90s as ebooks, including many of the Masterbook line. 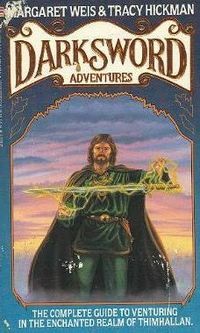 Some of his flagship products include Bloodshadows, Shatterzone, Two-Fisted Tales, and Ancient Odysseys. Meanwhile, Curtis and I prep for the Arctic Blast Apocalypse, getting ready for a rogue planet to knock the Earth out of orbit and away from the sun. We’re prepared to survive. Are you? Announcements include updates about the Atomic Earth Kickstarter and our plans to attend Fear the Con 5 in St. Louis. 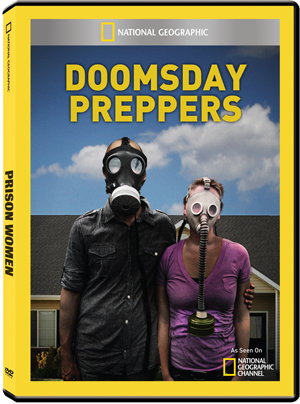 Doomsday Preppers is unarguably the most entertaining show on television right now, so Curtis and I naturally have to pick it apart and find out just why this is so. The most important part about the show is that it has inspired us to begin prepping for the apocalypse ourselves. Being who we are, just one apocalypse isn’t good enough so we are prepping for a new apocalypse every podcast episode. This week: the zombie apocalypse. Also, Atomic Earth 2.o Kickstarter begins if it kills me!! 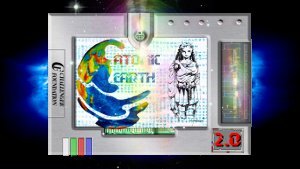 Atomic Earth 2.o coming soon!! !